As time to market takes on paramount importance, it is vital for developers to have easy access to development acceleration and visualize their build in an integrated fashion. Anyone who installs IncrediBuild from within Visual Studio 2015 gets IncrediBuild for free on up to 8 cores of an individual workstation. Additionally, users receive four more agents that can be used on up to 8 cores for one month free, providing total capability of 40 cores to speed up their development. 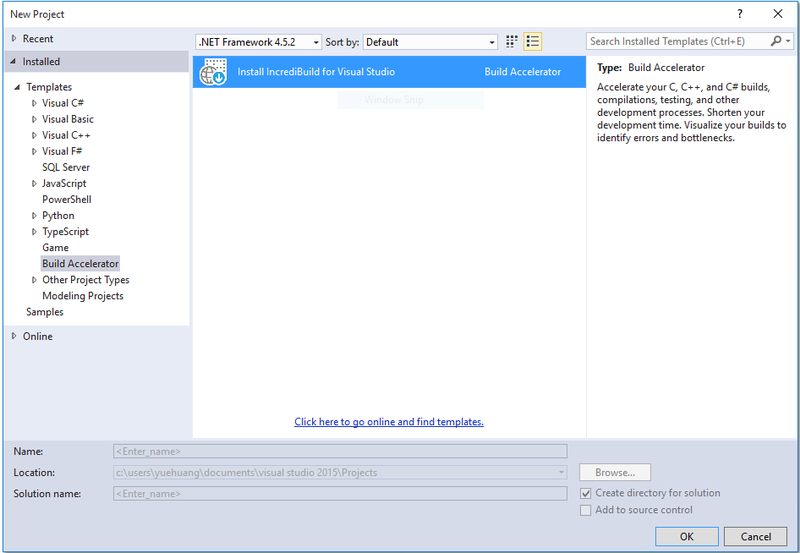 Predicted Execution -- a unique IncrediBuild technology –that gives additional acceleration capabilities - is exclusively included in this free version for Visual Studio customers. IncrediBuild’s visualization technology for build monitoring replay, analysis, and error detection is used within Visual Studio -- allowing on the fly identification of inefficiencies, errors, and bottlenecks. Predicted (Out of Order) Execution - using proprietary technology developed by IncrediBuild’s build experts, IncrediBuild’s predicted execution technology further optimizes the throughput (parallelization) and thus performance of C, C++, Android, and C# builds. IncrediBuild is a leading solution provider of software development and continuous delivery acceleration technology. Harnessing unutilized processing power across networks, IncrediBuild speeds the code build and other compute intensive processes as part of the overall continuous integration (CI) and application life cycle management (ALM) processes. With its unique process virtualization technology, IncrediBuild has become the de facto standard solution for development acceleration. More than 100,000 users at over 2,000 companies and organizations depend on IncrediBuild, including 20 Fortune 100 companies. Learn more about IncrediBuild at http://www.incredibuild.com/.